Cannabis use has commonly been reported not only to reduce anxiety but also to enhance mood and cause euphoria. 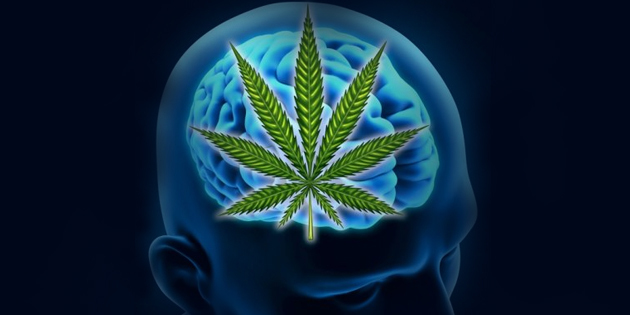 Indeed, pre-clinical animal data suggest that THC (at lower doses) and CBDboth produce anti-depressant effects. This suggests that cannabis use might be effective in reducing depression; however, the reports of cannabis as an anti-depressant are contradictory. Self-report questionnaires examining reasons for cannabis use found that 22 percent of their sample used cannabis to reduce depression. Indeed, a questionnaire on depressive symptoms in a survey of nearly 4500 people revealed fewer depressive symptoms in cannabis users than in non-users. Case reports of five people suffering from depression revealed that depression preceded cannabis use and that the effects of cannabis had some anti-depressant effects. In addition, cannabis use is associated with elevated mood and decreased depression in patients with chronic diseases. On the other hand, oral THCadministration to depressed individuals can also result in dysphoria in some patients, especially those who are naïve to the psychoactive effects of cannabis. Furthermore, pure THC has been reported to increase anxiety when given alone, whereas co-administration of CBD can counter its effect … [W]ithout the benefit of the additional cannabinoid compounds (especially CBD) pure THC often does not have the same effect as cannabis consumption.